The Multi-System can be installed in all types of buildings, whether ­constructed of concrete, brick or timber. Examples include: bridges, industrial buildings, houses, church towers and barns. 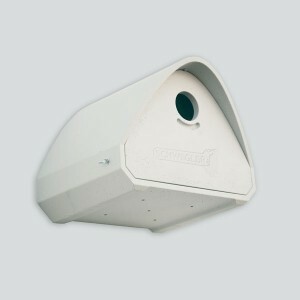 To meet the needs of various Bird species, different types of front panel are available for use with the Main Cavity. 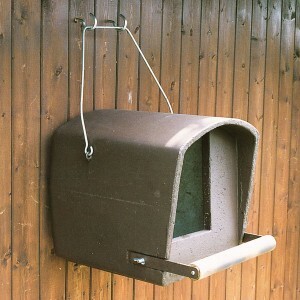 At a later stage the front panel can be changed, if desired, to accommodate or encourage a different species of Bird. The Multi-System has been used very succesfully in major urban conservation projects to assist species which have become very rare. 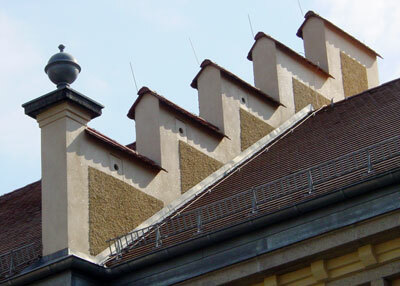 For example, Kestrels are welcome in cities because they help to keep feral pigeons away, and are therefore encouraged to occupy historic buildings in an effort to keep them clean. 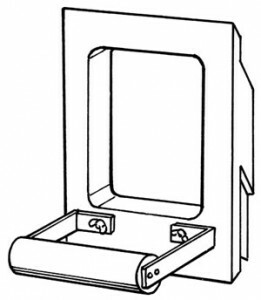 This Main Cavity is supplied without a front panel which should be ordered separately (please see below). Installation depth: This can be varied to meet individual requirements and the type of building construction. 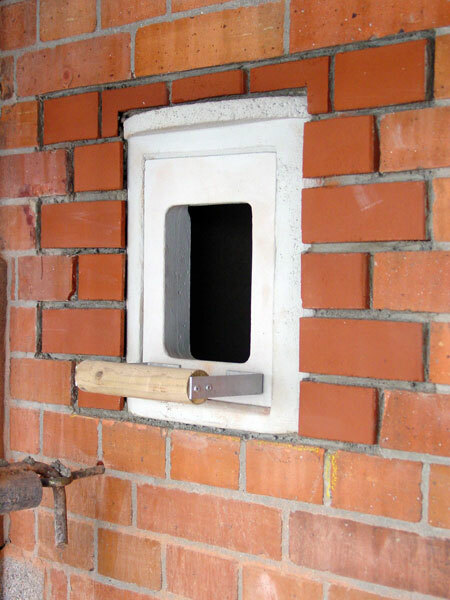 Ideally the Main Cavity is set 24 cm into the wall. 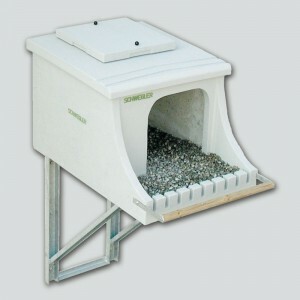 Density: Since Jackdaws and Swifts breed in colonies, it is advisable to place a number of Multi-System Boxes in close proximity to one another. Kestrels, on the other hand, do not seek the company of their own species when nesting. However, they will happily nest among colonies of Jackdaws and Swifts. One or two Multi-System Boxes on a building or bridge will suffice for Kestrels, while a virtually unlimited number can be set up for the other two species. Siting: Do not install below a height of 5 to 6 m. Take care to choose the side of the building that is not exposed to prevailing winds. 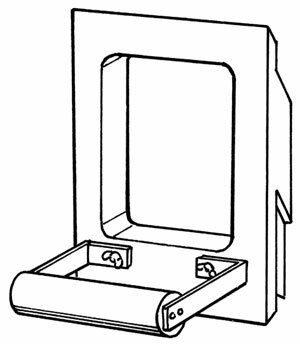 Cleaning: The front panels can be easily removed for access. However, cleaning is not essential, which is an important factor when installing on inaccessible places such as bridges, cooling towers, etc. Dimensions: W 44.5 x H 41.5 x D 41.5 cm. Weight: approx. 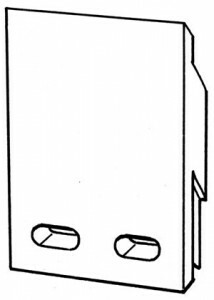 28 kg (without front panel). Bedding: To encourage the birds to adopt the box a mixture of coarse sawdust, wood shavings and washed sand should be moistened and placed inside. Height above ground: Best 6 to 8 m.
Siting: On solitary trees, quiet places on the edge of woodlands, barns in open countryside, electricity masts, silos, wind generators, etc. The following sites are recommended in urban areas: large buildings, high walls, chimneys, industrial buildings, churches, etc. 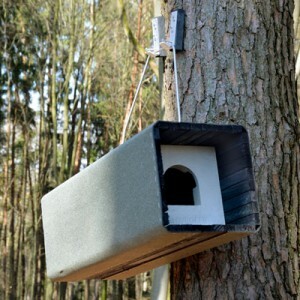 In the absence of trees the boxes can be installed on high poles to assist the Birds in their hunt for mice. Dimensions: W 24 x H 31.5 x D 5.5 cm. 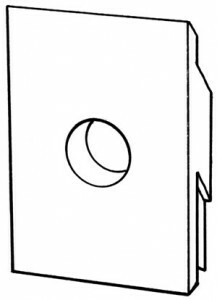 Entrance hole: W 16 x H 21 cm. Siting: Residential buildings, external walls, churches, silos, industrial buildings, etc. Dimensions: W 24 cm x H 31.5 x D 5.5 cm. Entrance hole: ∅ 8 cm. 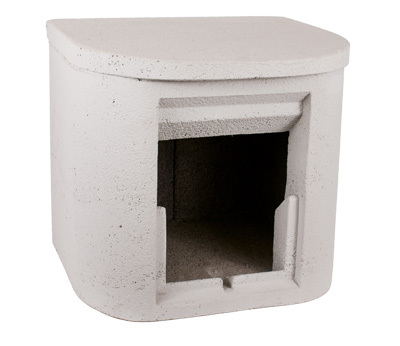 A dividing panel supplied is used to create two separate nesting chambers. Installation: The entrance should be a minimum height of 6 to 7 m above the ground or protruding parts of buildings. Greater heights are possible at any time. Attaching the box directly under the roof edge is advantageous. It is very important to ensure that there are no protruding parts, roof parts, pipes, etc. below the entrance, as Swifts approach and fly away very steeply. Therefore, the area under the entrance should be unobstructed and lead directly to the ground. 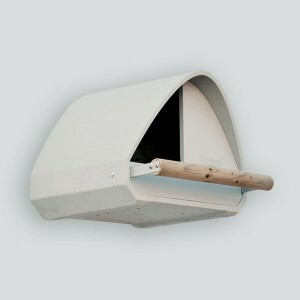 It is advantageous and we expressly recommend that several nesting aids be installed for the formation of Swift colonies. Swifts do not need a minimum distance from fellow species – nesting boxes can therefore be positioned directly next to each other. Suitable positions: On external façades or under the roofs of all kinds of buildings, for example, houses, industrial buildings, churches, road structures, walls or even cliffs and rock faces. 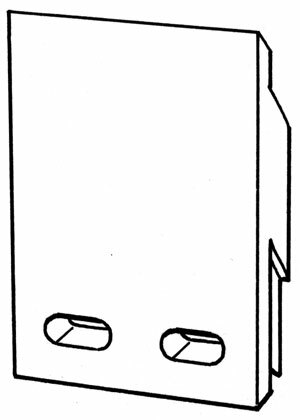 Entrance holes: W 6 x H 3 cm (each).